Paint plastic, indoors, outdoors and self-cleanable based on vinyl co-polymers in aqueous dispersion and highly colour fast pigments Easy to apply Good covering power. Filling power Finish plain, even, decorative, with maximum whiteness and washable Shades can be achieved with water based dyes Suitable for decoration with indoor and outdoor surfaces such as: Walls and plaster ceilings, coving, etc... As a high quality semi-matt topcoat Stir the contents of the pot well Apply in even coats Application at: Round brush, roller and airless spray gun The surface should be clean, dry and free from grease, nitre, flaking and must be consistent. 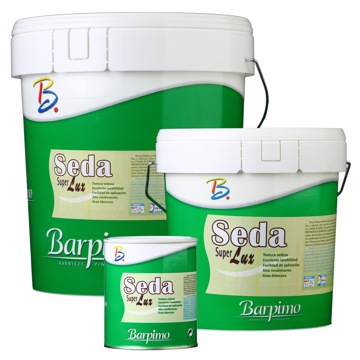 On surfaces dry and hard (well set plaster) application of 2 coats: the first diluted at 10% and the second slightly diluted or as supplied. On soft (badly set plaster) or with old plastic paint, temper, lime or other paints surfaces: Remove soft, crumbling, flaking parts... and totally remove limescale Seal adequately with SELLAFOND AL AGUA and proceed as in the previous case. Do not apply in temperatures below 5ºC. Shake contents of containers before use. For toxicological standards, consult FICHA DE SEGURIDAD. Do not store opened or started containers. Apply with good air renewal. This sheet has been created with informational purposes only and does not replace expert advice. The information provided reflects our current knowledge and have been obtained from our own experience, but under no circumstance do they entail any warranty whatsoever from our part. For this reason, we cannot accept any undesired consequence deriving from its use. 12-12-2016 This sheet replaces all previous versions.